Discipline, structure and teamwork don’t care where you were born. Students from around the world come to Valley Forge to prepare for success in life. 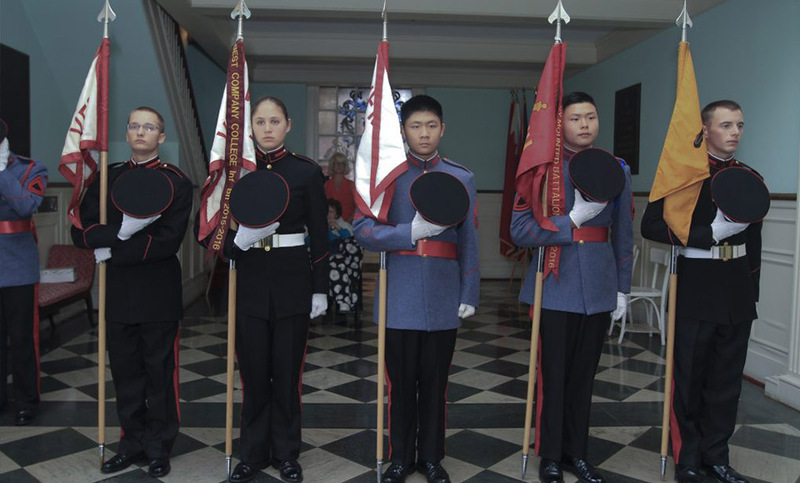 One of the great strengths of Valley Forge Military College is the incredible diversity of the student population. Students from around the world, representing over 30 nations, have attended the College in preparation for success in life. Our graduates have gone on to attend such prestigious institutions, including American University, Arizona State University, Cornell University, Florida International University, University of Colorado, and all five Federal Service Academies. Questions? Please contact Charlene Dandrow via email: Intladmissions@vfmac.edu or by phone: 610-989-1301. Awarded to assist INTERNATIONAL female cadets who have demonstrated leadership, academic excellence and a commitment to improving their community. Students must have a cumulative high school GPA of 2.5, SAT 1000 (Math and Verbal) or ACT 17. Two letters of recommendation are required. A TOEFL score of 75 or IELTS score of 6 required. If qualified, students will be eligible for a Valley Forge grant of up to $5,000. Renewable each academic year with a 2.5 GPA. $2,000-$8,000 per year grants are offered to qualified INTERNATIONAL students with excellent academic or athletic records. A TOEFL score of 75 or IELTS score of 6 is required. Renewable each academic year with a 2.5 GPA. Our intensive English Language Program (ELP) is designed to prepare students for academic English through a progressive curriculum of reading and writing, listening and speaking, and grammar courses. In addition to language skills, our program equips students with critical thinking, cultural, and college success skills necessary to successfully achieve their full academic potential. We aim to provide a smooth transition from the ELP to degree programs. ELP students have access to VFMC’s events, clubs, library, health center, fitness center, counseling services, academic support services, international student advisors and computer labs. Additionally, they benefit from being part of a unique military educational model as well as a global educational community.